GENUINE ENERGYTECH PROFESSIONAL ENERGISER. 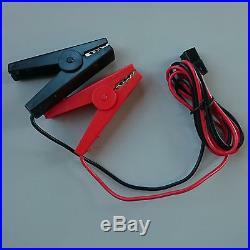 40km FENCE ENERGISER 12V. Provides a REAL KICK with 9,500V PULSE! Heavy-duty, robust, O-ring sealed! Weatherproof, dustpoof and insect proof. ENERGYTECH – THE VERY BEST IN QUALITY AND CUSTOMER SERVICE. Usually same day dispatch. 2 Years (see below for details). 12 V SYSTEM SUITABLE FOR BATTERY MAINS or SOLAR OPERATION. Battery and solar panels are NOT included in this 12V & mains operation starter pack, however, we offer an optional 30W solar panel kit for full off grid operation. 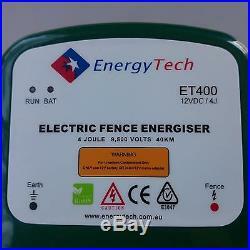 1 x Energytech 40 km Power Professional Electric Fence Energiser. 1 x 12V cable set to run directly from a 12V battery or any other appropriate 12V supply & mains Powerpack. 1 x Line connection cable. 1 x Earth connection cable. 1 x Installation setup guide & manual. 10W Solar panel with charge controller. 30W Solar panel with charge controller. The 30W panel is fitted with its own “legs” should you want to just place it on the ground but due to the huge range of other possible installation configurations roof/wall/fence post/etc. No other mounting system is provided with the panel and a little DIY skill may be needed to fix a panel where desired. NB: Does not include grounding rod, fence wire or fence-posts. Otherwise ready to go! The 40 km Professional energiser is designed to provide powerful and reliable long term, hassle free use whilst minimising power consumption. This commercial grade energizer is suitable for single-strand, multi-strand or multi-fence set-ups for electric fences with wire lengths of up to 40km! This device is a quality product – double insulated – and has CE and C-Tick approvals and is IP24 rated. Suitable for applications including. Garden and plant protection. Smart Technology for reduced power consumption when used with battery or solar option. “O” Ring sealed case. Weather, dust, and insect proof design. Designed for indoor or outdoor (battery/solar) installation and operation. 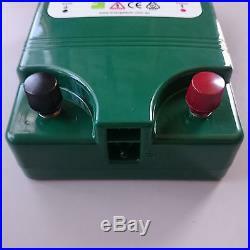 Can be powered by any suitable 12 V source. 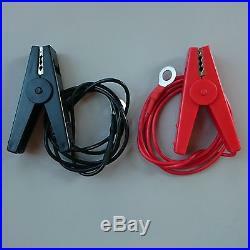 Two heavy-duty robust power out connections marked red (positive) and black (negative) for quick and easy hook-up. Heavy-duty fence/earth connection cables and clamps included. Heavy-duty battery connection cables and clamps included for use as temporary standalone unit on battery power (battery not included). With the advent of internet sales and distribution things have changed. 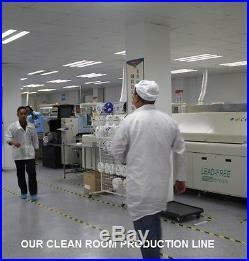 Because of this we offer our products directly to the end user at amazingly low prices. Normal misuse/abuse exceptions apply. We carry spare parts IN STOCK. 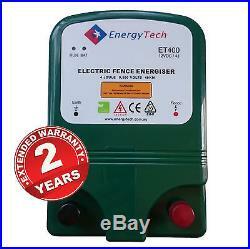 Check out our other energisers in our store including units for fencing up to 50km! Feel free to ask any questions using the question box at the bottom of this advert. The item “40km Electric Fence Energiser 12V & Powerpack Plus Optional Solar Kit Available” is in sale since Sunday, January 29, 2017. This item is in the category “Industrial\Fencing\Other”. The seller is “energytech_pty” and is located in Tanah Merah, QLD. This item can be shipped worldwide.